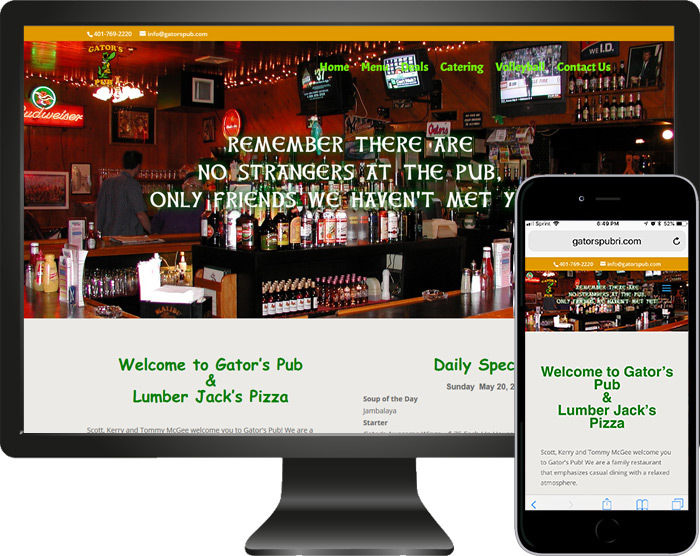 Gator’s reached out to M2 to design a basic site for the pub. M2 secured the domain GatorsPubRI.com and rebuilt their website on a CMS platform and the site is also phone and tablet friendly. Their site contains the basics; menus, catering info, volleyball info and a contact area. We also set the site up so they are able to make updates on their own.